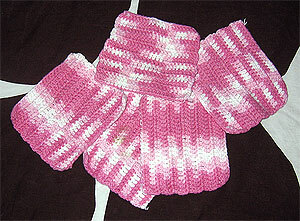 Thanks TayLynn for the gorgeous hand-crocheted dishclothes. I love them! I’m glad you love them. I love using the ones here at home, and so do the babies!